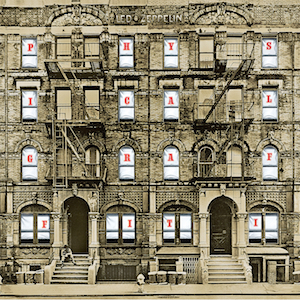 First up this week we have "Kashmir" by Led Zepplin from their album Physical Graffiti. I know that you know this song. Everyone knows this song. It's just so damn good and the usage of middle-eastern-style sounds was just inspired... and there's not much more I can say than that. I didn't intend for this entry to be so lazy, but it's occurring to me while I'm writing this that there really isn't much that I can add to the conversation on Led Zepplin or "Kashmir" which hasn't already been said. As a result, I will say "enjoy!" and move on to the next entry. Secondly we have "Long Live the Party" by Andrew W.K., from his album The Wolf. Over the past couple weeks, I've been really getting into this album and have been listening to it almost every day. As much as I like I Get Wet, The Wolf is just a more interesting album in almost every department. 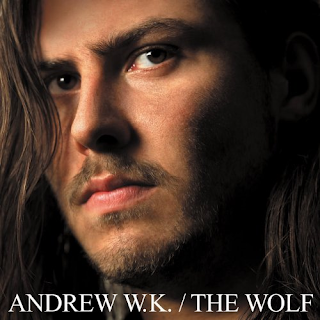 The songs do skew towards Andrew W.K. 's reputation as the "god of the party", but there are also some which show his current status as a "positivity activist" of sorts, such as "Never Let Down", "The End of Our Lives" or "I Love Music". Apparently telling stories about positivity is what his whole radio show on The Blaze is about which, considering the rest of The Blaze's raw sewage output, is rather strange and just baffles me on how Andrew W.K. managed to secure it.